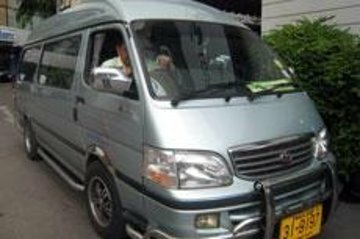 Haga que su llegada a Chiang Rai sea sin complicaciones con un vehículo compartido de traslado desde el Aeropuerto Internacional de Chiang Rai a su céntrico hotel en Chiang Rai. Reserve con anticipación para este servicio 24/7. Wonderful experience. Meet and greet timely, great English, pleasent. Assisted at hotel informing that my laggage had been delayed and would be delivered to hotel the next morning. Was not met in a timely manner and had to ask and look for the guide. The guide was not at the designated meeting spot. We eventually found after everyone had left. The guide had a placard with our names handwritten on it which was not very professional plus the guide was looking for a wrong racial group. Not bring met promptly can be very annoying to travelers from another country.